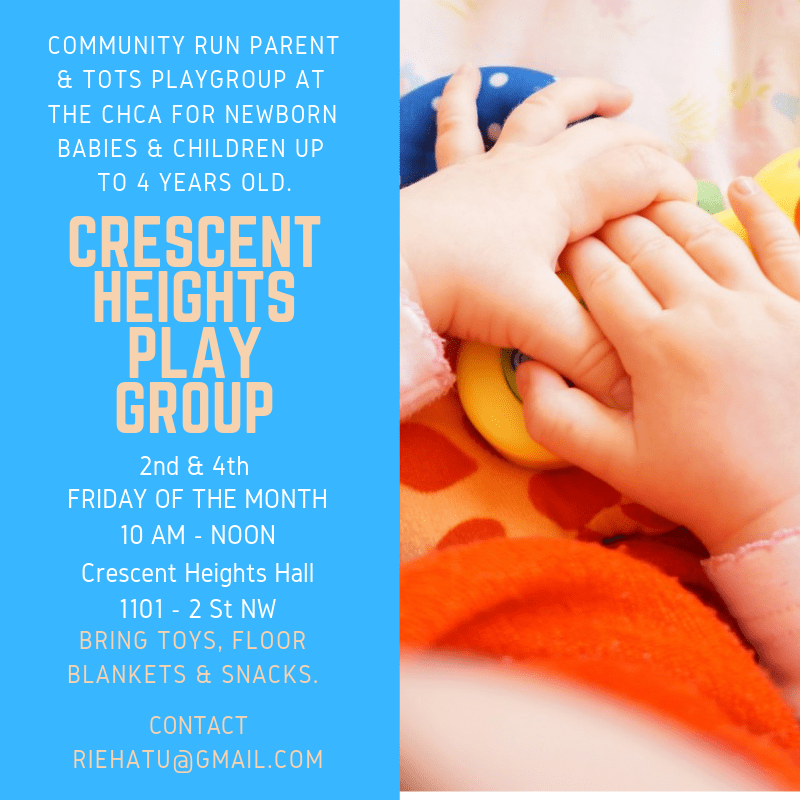 Hi, Crescent Heights! Do you live, work or play in the neighbourhood of Crescent Heights and have a talent, skill, hobby or interest that you would like to show off? Now’s your chance to share with others in your neighbourhood that thing you care about! This is a great opportunity for residents to share, practice vulnerability (awkward!) and get to know each other. All we ask is that your contribution is something you enjoy and want to show off! This is an All AGES, family-friendly event so any age category can apply and be part of it. Please note, as this is a community event each showcase will be vetted for the appropriate audience. Therefore exclusions will be made. We are subjected to space and availability. 1) If your showcase requires you to perform, whether that’s a dance, poetry or song etc. There will be a given time slot for you to do so up to 3-5 minutes. 2) If your showcase requires you to have a booth, a table (2″ X 6″) will be provided. This is a non-commercial event, the selling and marketing of goods and services is not allowed. Please note, showcases that involve political affiliation, cultural appropriation, depictions of violence will not be permitted. Something that you enjoy, know lot’s about that you would like to share with others. Register to participate in this event by clicking here.